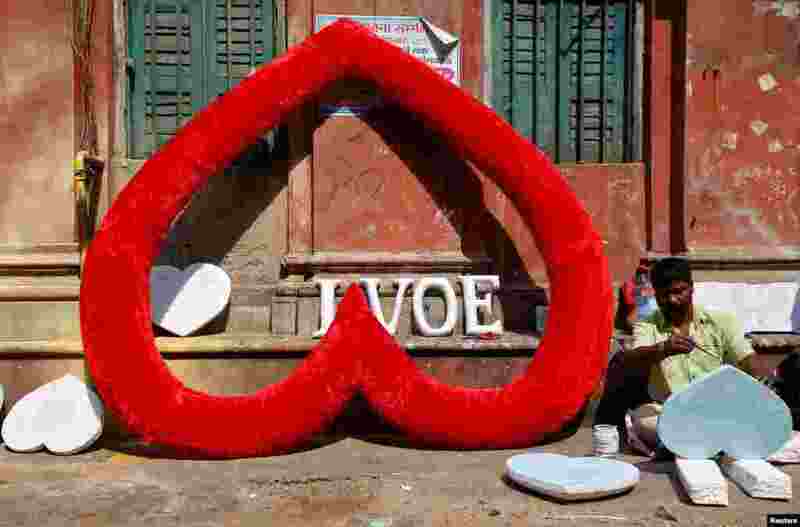 2 An artisan paints hearts made of polystyrene at a road side workshop ahead of Valentine's Day, in Kolkata, India. 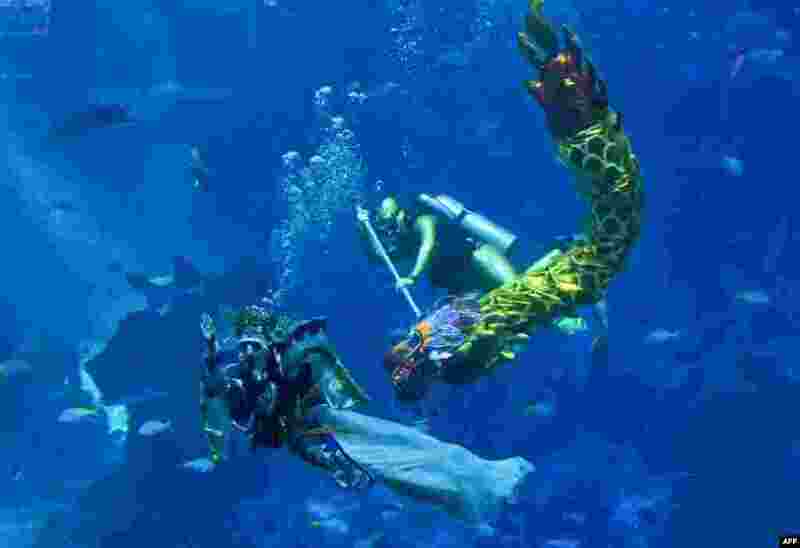 3 Divers dressed as a sea goddess (L) and a dragon perform underwater during a media preview for Lunar new year celebrations at S.E.A. Aquarium at Resorts World Sentosa in Singapore. 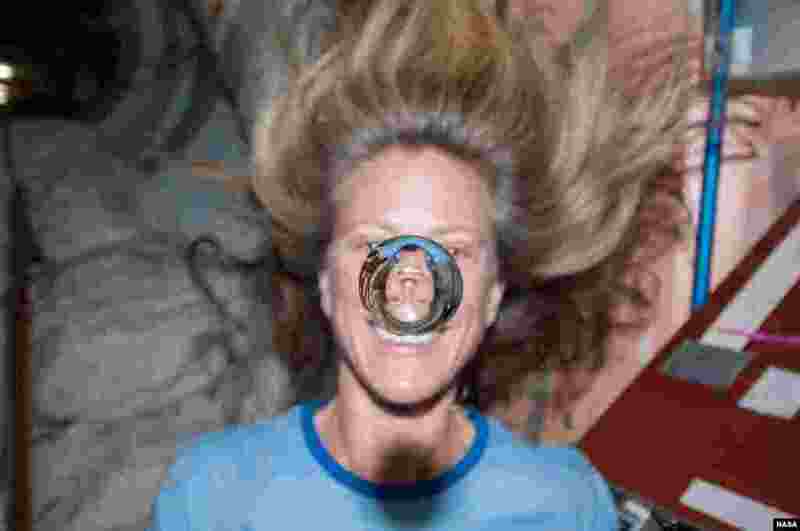 4 NASA astronaut Karen Nyberg watches a water bubble float freely between her and the camera, showing her image refracted in the droplet, Feb. 7, 2018.